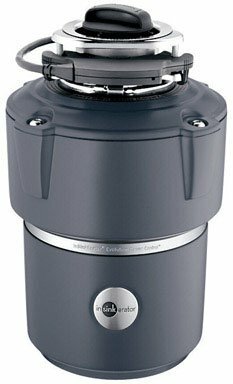 Get rid of food waste with ease using the Evolution Cover Control household food waste disposer from InSinkErator. This disposer features a Magnetic CoverStart Activation system that lets you turn on the machine–and grind food safely–using a cover. Patented sound-reducing technology makes the Evolution Cover Control 60 percent quieter than standard disposers. 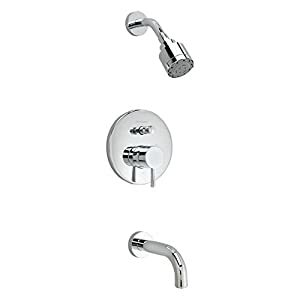 This product is covered by InSinkErator’s seven-year in-home service warranty. A Quick Lock sink mount enables you to install the disposer with ease (click to enlarge). 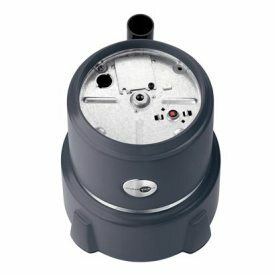 Unlike other food waste disposers operated with a wall switch, the Evolution Cover Control includes a cover that enables safe, covered operation and lets you turn the disposer on and off. With this Magnetic CoverStart Activation system, you just place food waste into the disposer, turn on the cold water, and place the cover into the sink opening where magnets–two in the cover and two on the disposer–align to activate the machine. 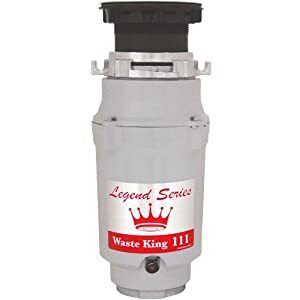 Along with a rugged steel construction and a powerful 3/4 horsepower motor, the Evolution Cover Control food waste disposer features a MultiGrind system that virtually liquefies food matter before it flows safely to your sewage system. This two-stage grind technology combines a GrindShear ring and a Tri-Action Lug system to finely grind foods and prevent clogs and jams. As a result, you can use the disposer to grind difficult food waste that you wouldn’t normally put in a disposer, such as celery and potato peels. Thanks to InSinkErator’s SoundSeal Plus system and Quiet Collar sink baffle, the Evolution Cover Control is at least 60 percent quieter than typical food waste disposers–making it possible to hold a conversation, using normal voices, with the disposer running in the same room. This patented technology includes superior insulation around the motor, an anti-vibration sink mount, and an anti-vibration tailpipe to prevent sound transmission from vibrations. The patented sink baffle also helps prevent sound from escaping the throat of the disposer. Like all InSinkErator food waste disposers, to simplify the installation process, the Evolution Cover Control sports a three-bolt Quick Lock sink mount made of stainless steel. 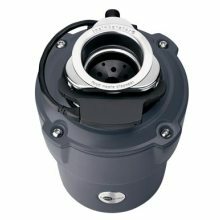 If you have an existing food waste disposer, you can likely just twist it off and twist on the Evolution Cover Control. 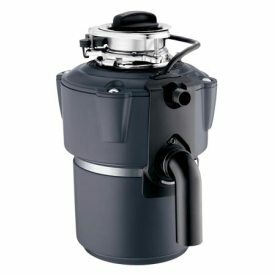 With Quick Lock, replacing one InSinkErator disposer with another is easy. 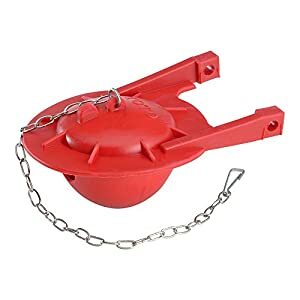 This product measures 14 by 11 by 14 inches (H x W x D) and weighs 22 pounds. It’s designed to be hard-wired to your home’s electrical system. 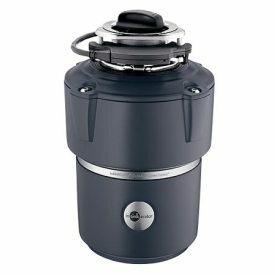 With a grind chamber capacity of 40 ounces, the disposer can process a greater volume of food waste than standard disposers. 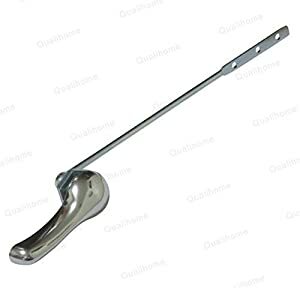 InSinkErator Evolution Cover Control food waste disposer, Quick Lock sink mount, Quiet Collar sink baffle, Jam-Buster wrench, anti-vibration tailpipe mount, anti-vibration mount, stainless steel sink stopper, spring-type hose clamp, and installation instructions. The Evolution Cover Control sports a rugged steel construction for durability (click each to enlarge).